This brief service consists of prayer, readings, meditation, and simple songs. We welcome children in worship! Will they get rambunctious and noisy? Maybe--but that's OK! We're just glad you're here. But, if you feel you need to take them out, we do have a staffed nursery (for infants to 3 year olds) open during our worship and education time, located at the east side of the building by the Worship Center. (Click here for more information about our nursery.) There is also a cry room/area at all our sites where you can take child and still enjoy worship. Located near the Worship Center (door 4), our nursery is more than a place where you drop off your child to play. It’s a place where we love and nurture your child! Kids have a great time experiencing Jesus with us! We deliver solid biblical learning through extraordinary creativity and fun! Check in near door 5. 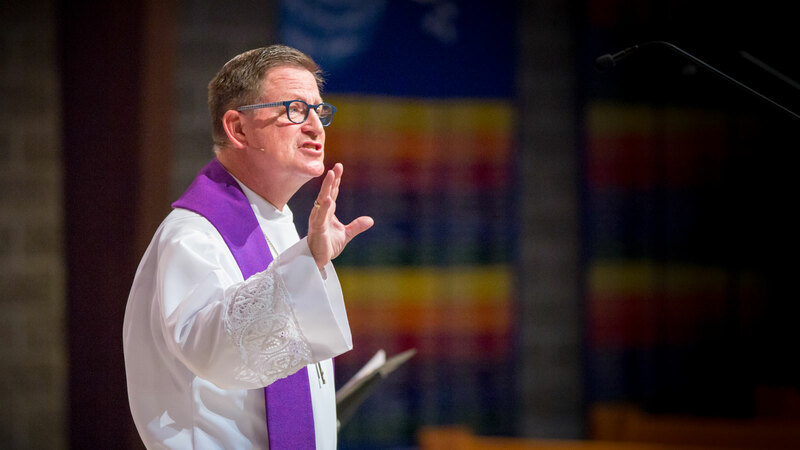 What I do at CLC: I’ve been Senior Pastor at Cornerstone Lutheran since June 1993 and consider it one of the greatest blessings in my life to have the privilege of serving the Lord Jesus and his people here! I’m also actively involved in encouraging pastors as a PALS (Post Applied Seminary Learning and Support) facilitator and a PLI (Parish Leadership Institute) mentor. What I do at CLC: As Pastor of Care Ministries, I work with the Care Ministry Team in overseeing the care ministries of our congregation. My vision is that we grow as a faith community to where everyone cares for one another simply because that is what it means for us to be part of God’s family. As Jesus said, “By this all men will know that you are my disciples, if you love one another” (John 13:35). I also share with the other pastors of our congregation in the responsibilities of preaching, teaching, worship leading (including chapel), counseling and visiting. What I do at CLC: I direct contemporary worship in our Worship Center at the Carmel site. I also perform other pastoral duties like preaching, teaching, hospital visitations, and leading Bible studies. What I do at CLC: I put together the services and plan the music for the Sanctuary. I also work with the various ensemble directors as they choose and prepare music. I play the organ and piano and direct the Sanctuary Choir and CLC Wind Symphony. A favorite Bible verse: 1 Corinthians 14:15 – I will sing with my spirit, but I will sing praise with my mind also. What I do at CLC: As an Administrative Assistant at the Welcome Desk, I am one of the faces and voices of Cornerstone Lutheran. I work the first half of the week and my duties include welcoming visitors and disciples, answering the phone, processing attendance cards and prayer requests, guest assimilation, and processing all incoming and outgoing members of the church. What I do at CLC: I have a very special job overseeing the Carmel Nursery. The Nursery provides a safe and loving environment where children can hear about God's love for them through age appropriate curriculum and creative play opportunities. I help to manage the support staff that enables the Nursery to welcome and serve children ages 3 and under for faith based learning and play. I plan and facilitate lessons, schedule and train staff, and work alongside my peers to lead an engaging ministry that successfully loves, teaches, and supports the young children and families of CLC! A favorite Bible verse: 1 Corinthians 13:4-7 - Love is patient, love is kind. It does not envy, it does not boast, it is not proud. It does not dishonor others, it is not self-seeking, it is not easily angered, it keeps no record of wrongs. Love does not delight in evil but rejoices with the truth. It always protects, always trusts, always hopes, always perseveres. What I do at CLC: I oversee the Faith Formation ministry team, including Children’s and Youth ministries. I lead our High School ministry, including weekly Bible study, small groups, mission trips and fellowship events. I also lead our Post High School ministry in developing parent relationships and care for our Post High School Students age 18-23. A favorite Bible verse: Hebrews 12:2-3 – Let us fix our eyes on Jesus, the author and perfecter of our faith. Who for the joy set before him endured the cross, scorning its shame, and sat down at the right hand of the throne of God. Consider him who endured such opposition from sinners, so that you will not grow weary and lose heart. What I do at CLC: Administrative tasks in the areas of finance, human resources, facilities and information technology. A favorite Bible verse: Isaiah 41:10 "So do not fear, for I am with you; do not be dismayed, for I am your God. I will strengthen you and help you; I will uphold you with my righteous right hand." What I do at CLC: I am serving the middle school youth in an interim role. My wife, Chelsea, and I were married in 2017 and we have a 1 year old lab mix named Maisey. I am a graduate of Concordia University Ann Arbor with a Family Life Degree and concentration in Youth Ministry. Oh, and you pronounce my name Marsh-OH-nee! What I do at CLC: I am blessed to serve as an Administrative Assistant at CLC Carmel. If you stop by or call during the last half of the week I will probably be the one who greets you! My duties include welcoming guests, answering the phone and, most importantly, making sure the coffee supplies are stocked! I also order office supplies and assist other staff members with various clerical and administrative tasks as needed. A favorite Bible verse: Romans 5:3-4 – Not only that, but we rejoice in our sufferings, knowing that suffering produces endurance, and endurance produces character, and character produces hope. What I do at CLC: My role at CLC Carmel is to direct the ministry for children age 3 through fourth grade, as well as various events throughout the year for children (VBS, Breakfast with Baby Jesus, etc). You will see me hanging out at the welcome desk on Sunday morning or running around between classrooms with my shoes off. 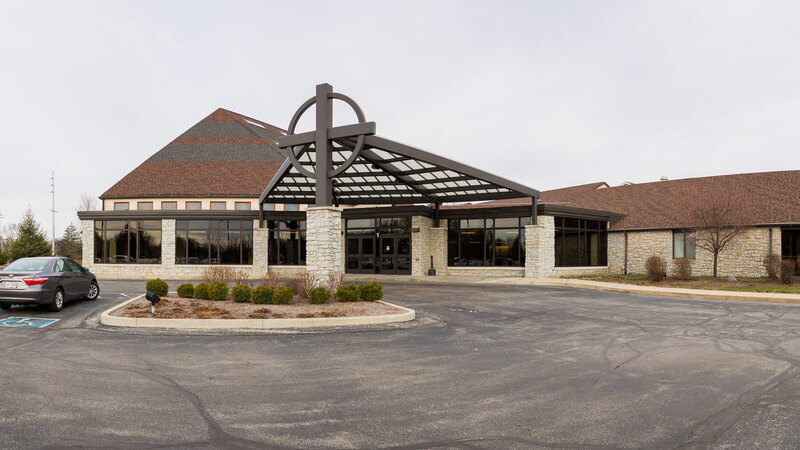 What I do at CLC: As part of the Admin Team, I work with individuals and families when they need to schedule baptisms or weddings, or when there is a death, and a funeral is to take place at the church. In addition to assisting the pastors, I work with Comfort Meal Ministries, Pew Rack Fillers, Altar Guild, prayer requests, and rounding up items for the Children’s Messages. I try to be an encourager and supporter to the rest of the staff; nothing is too great or too small a task and I am happy to do whatever it takes to help. A favorite Bible verse: Philippians 4:6 – Do not be anxious about anything, but in every situation, by prayer and petition, with thanksgiving, present your requests to God. What I do at CLC: I am the director of Primary Praise, the Kindergarten - 2nd Grade children's choir at CLC Carmel. I get to help children find their voices in praising God! I also assist with occasionally directing the Sanctuary Choir at the Carmel site. A favorite Bible verse: Isaiah 43:1-3 – Fear not, for I have redeemed you; I have called you by name, you are mine. When you pass through the waters, I will be with you; and through the rivers, they shall not overwhelm you; when you walk through fire you shall not be burned, and the flame shall not consume you. For I am the Lord your God, the Holy One of Israel, your Savior. What I do at CLC: I help with organizational and administrative tasks for High School, Middle School, Confirmation, and Children’s Ministries.